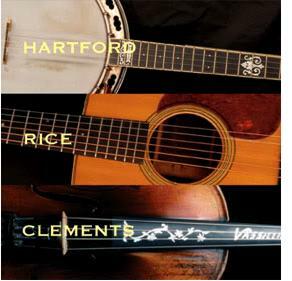 Spring Fed Records, the Grammy-winning documentary label operated by The Center for Popular Music at Middle Tennessee State University, announces the release of Home Made Sugar and a Puncheon Floor, a set of home recordings made by John Hartford and fiddling legend Howdy Forrester. This recording preserves a repertoire of many rare, old tunes that Howdy had learned as a boy from his Great Uncle Bob Cates in Hickman County, Tennessee. 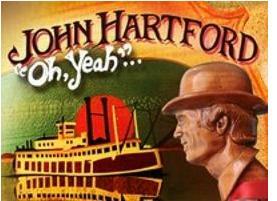 Hartford plays banjo, Forrester fiddles, and the two share informal discussion about the tunes and their sources. Brooklyn, NY -- “Just when you thought it couldn’t get no better then it does …” The Seventh Annual Brooklyn John Hartford Tribute takes flight in all its steam-powered glory, featuring the Deadly Gentlemen, Tony Trischka, Michael Daves, Chris Eldridge, Kristin Andreassen and many, many more on their own and backed by the house band, the Electric Steam-Powered Water Taxi Boys. Two of the finest and most significant country /folk albums of the ‘70s, John Hartford’s Aereo-Plain and Morning Bugle are being re-issued by Real Gone Music with a new collection, Aereo-Plain/Morning Bugle—the Complete Warner Bros. Recordings. The eldest of the Dillard brothers, Doug Dillard passed away Wednesday night, May 16, 2012. 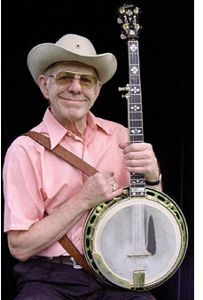 He and his brother Rodney performed during the rise of the folk, bluegrass and acoustic scene of the '60s and '70s. The Dillards became household names as "The Darlings" on the Andy Griffith Show. Doug had been of ill health and passed away at a Nashville hospital Wednesday of a lung infection. 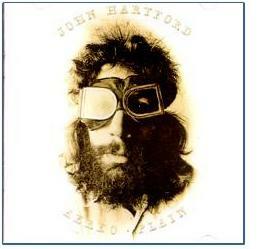 /JohnHartford.com/ The classic early-1970s albums Aereo-Plain and Morning Bugle were recently re-released in digital form. Aereo-Plain was a groundbreaking album that connected traditional bluegrass with the music of that era. Sam Bush has said the record inspired his and other artists' work in newgrass. John was joined on the record by Vasser Clements, Norman Blake, Tut Taylor and Ricky Scruggs.